My daughter is a fish. No, I take that back, she’s a mermaid. The girl loves the water. With her love for playing in sand, swimming, her father’s darker skin complexion and her seeming ability to stay out in the sun and not bake (another gift from her father’s side of the family), I would not be surprised to find this girl living on or near a beach somewhere when she’s older. 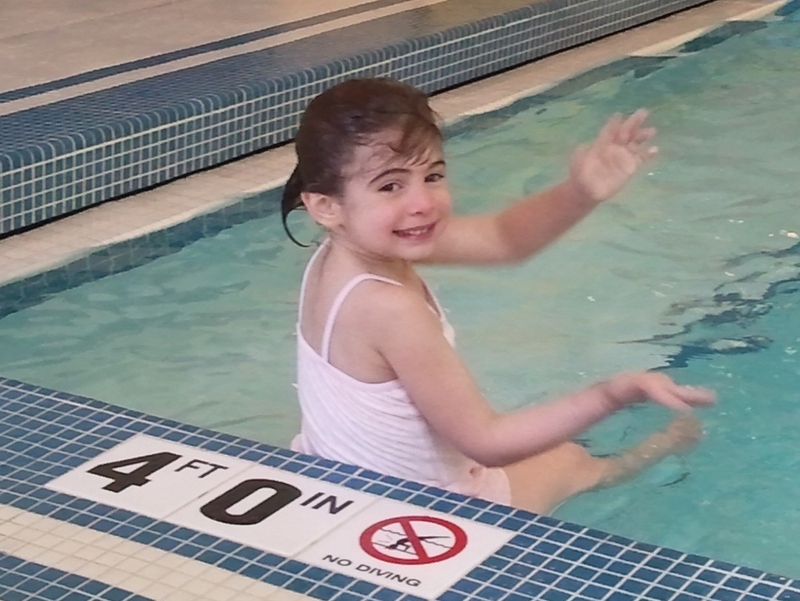 And while she wears goggles, they are not a prerequisite for jumping into the water and diving under the surface. Then there’s my son. He enjoys the water, but without goggles there’s no chance he will put his head underwater. Even with goggles he’s afraid to just put his face down. I’ve always felt that if he could be convinced to put his face in the water, the rest would come pretty quick; but, I have a hard time figuring out how to get past the fear. In general, my son has a tendency to be extremely nervous and reluctant to try new things. Once convinced however – no matter how long it took to convince him – he won’t stop. Now we’re at this week’s swim class. After almost a full year of swim lessons, while my son will at least go under water sometimes, he’s not yet advanced to the next class level because he still refuses to put his face in the water. I’ve tried stressing to the boy, who loves to race and win, that he will go faster if he puts his head down. I’ve tried talking to him and understanding what scares him. And whenever he’s managed to go under, I reiterate how proud I am. Nothing has worked. I won’t punish him. It’s a legitimate fear and I don’t want him to be afraid, angry or resentful of water. But I do want him to feel comfortable in the water – without a swimming aid. So, this week I tried the one last thing I could think of. Bribery. I thought back to potty training. We didn’t have to really bribe our son much, but we did with our daughter. Stickers, however, are not exactly motivating to a 6.5 year-old boy – at least not ours. So I leaned over to him during class and told him I’d give him a nickel every time he put his eyes in the water. His eyes lit up, a smile broke out and lo-and-behold, he was ready to swim. As I watched him, we did restructure the deal a bit – I didn’t want him purposely coming up just to get an extra nickel – but he actually swam face down for the remainder of class. I did emphasize that this isn’t forever; that if I saw him taking advantage of this deal it would stop immediately. And I continued to praise him for going under – trying to deemphasize the money side of it. Hopefully, within the next couple months he’ll feel as comfortable in the water as his sister. I can’t say I’m proud of using a bribe to get there, but 40 – 50 cents a class is a small price to pay for a few months of motivation and another fish.